Prototype: German Federal Railroad (DB) class TVT 6219 Esn maintenance car. Includes a movable work platform and a double-arm pantograph. Used for maintaining and checking catenary wires. Model: Era III. The body is constructed of die-cast metal. The car has a 21-pin digital connector. It has a can motor with a bell-shaped armature and a flywheel, centrally mounted. 2 axles powered. The headlights and marker lights are maintenance-free LEDs. They will work in conventional operation and can be controlled digitally. The pantograph and the work platform can be moved manually: The platform can be raised and lowered, turned to the right and the left, and the pantograph can be raised or lowered. The pantograph is not wired to take power from the catenary. The engineer's cab has and interior and separately applied details: upper skylight window, antenna, horn, work lights, and ladders. Length over the buffers 160 mm / 6-5/16. Powered Catenary Maintenance Car. The increasing electrification of rail routes also required maintenance vehicles for the catenary wire. Between 1955 and 1974, the German Federal Railroad (DB) purchased 92 powered catenary maintenance cars (later the class 701) that were based on the proven Uerdinger VT 98 rail bus. These powered rail cars have a maximum speed of 56 mph 90 km/h. They have a rest area between the engineer's cabs that is equipped with a small workshop with shelving, a workbench, seats, and a wash basin. 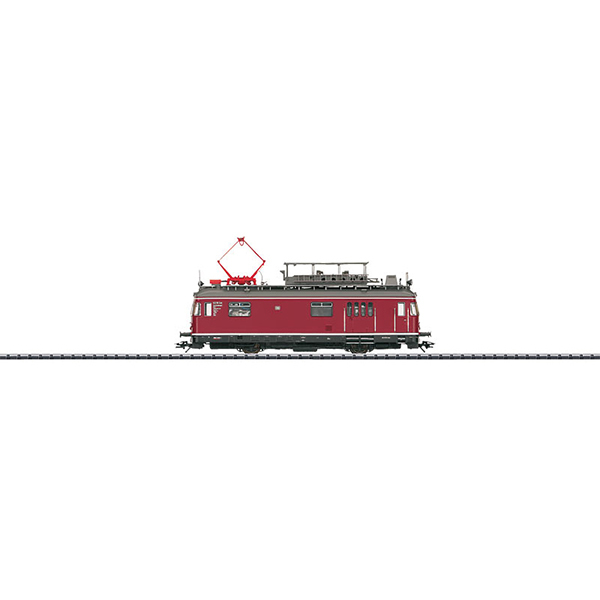 The pantograph on the roof is only used to produce a ground and for checking the catenary wire. The hydraulic work platform can support up to 300 kilograms / 661 pounds. It can be raised and rotated and offers almost unlimited access to the catenary wire. There is also a search light and an observation cupola on the roof. The powered catenary maintenance cars were originally painted in crimson until the German Federal Railroad mandated a striking yellow paint scheme for its maintenance vehicles.